Yoshimi OHTANI’s new work. The title is “Hada no Ondosa”. Literally translated it means “difference in skin temperature”. 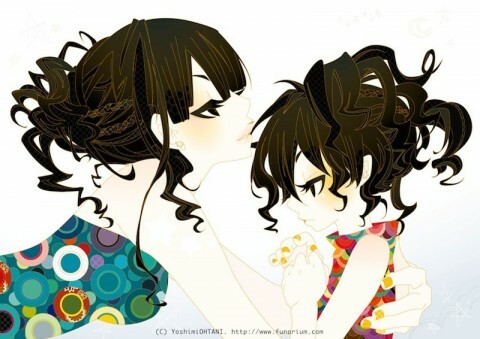 ”I drew myself and my daughter. The title is expressive of my hope that I want you to feel your child’s temperature that is a bit higher than you” (Yoshimi) *For further information about Yoshimi OHTANI, please visit HERE.